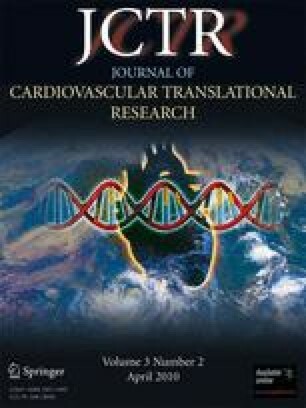 Much attention has recently turned to the promise and potential of human stem cells in therapeutic applications for the repair of cardiac tissue. The advances being made in the laboratory are exciting, and the pace at which research using human stem cells is moving from bench to bedside is extraordinary. The social, ethical, and policy considerations embedded within this area of research also require a large amount of attention and deliberation so that the scientific progress is able to successfully continue without social backlash. We gratefully acknowledge the assistance of M.R. Dickerson, D.J. Driscoll, and S.D. Sparks. We also thank our anonymous reviewers for their time and thoughtful comments. J.B.McC.’s work on this publication was made possible by Grant Number 1 UL1 RR024150-01* from the National Center for Research Resources (NCRR), a component of the National Institutes of Health (NIH) and the NIH Roadmap for Medical Research. Its contents are solely the responsibility of the authors and do not necessarily represent the official view of NCRR or NIH. Information on NCRR is available at http://www.ncrr.nih.gov/. Information on Reengineering the Clinical Research Enterprise can be obtained from http://nihroadmap.nih.gov/clinicalresearch/overviewtranslational.asp. Trounson, A. (2009). New perspectives in human stem cell therapeutic research. BMC Medicine, 7. doi: 10.1186/1741-7015-7-29. Couzin, J. (2009). Celebration and concern over U.S. trial of embryonic stem cells. Science, 568. doi: 10.1126/science.323.5914.568.